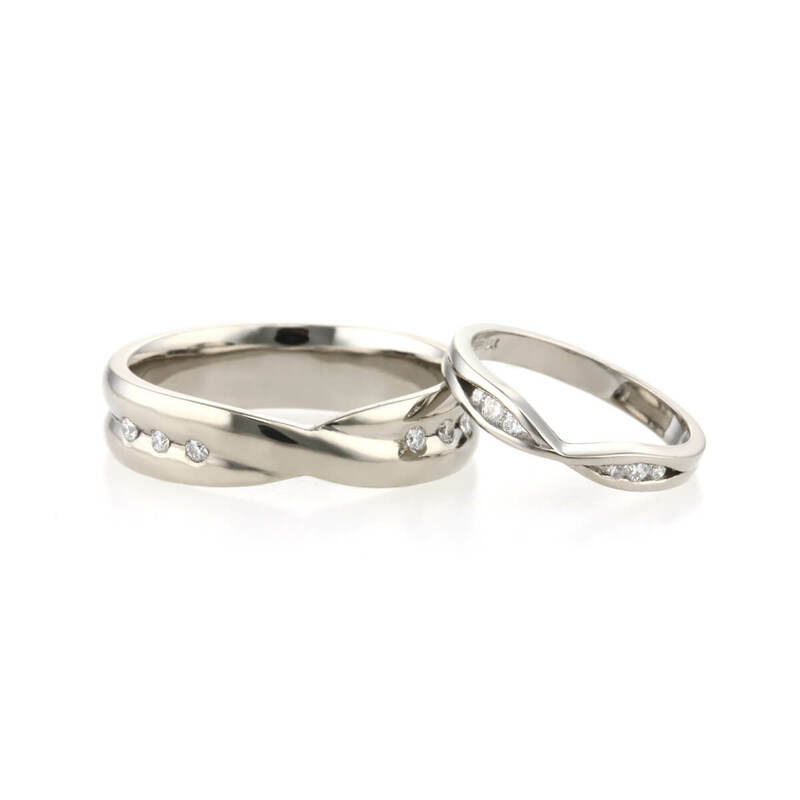 These two handmade Infinity Inspired Wedding Rings were made out of 18ct white gold and set with diamonds. 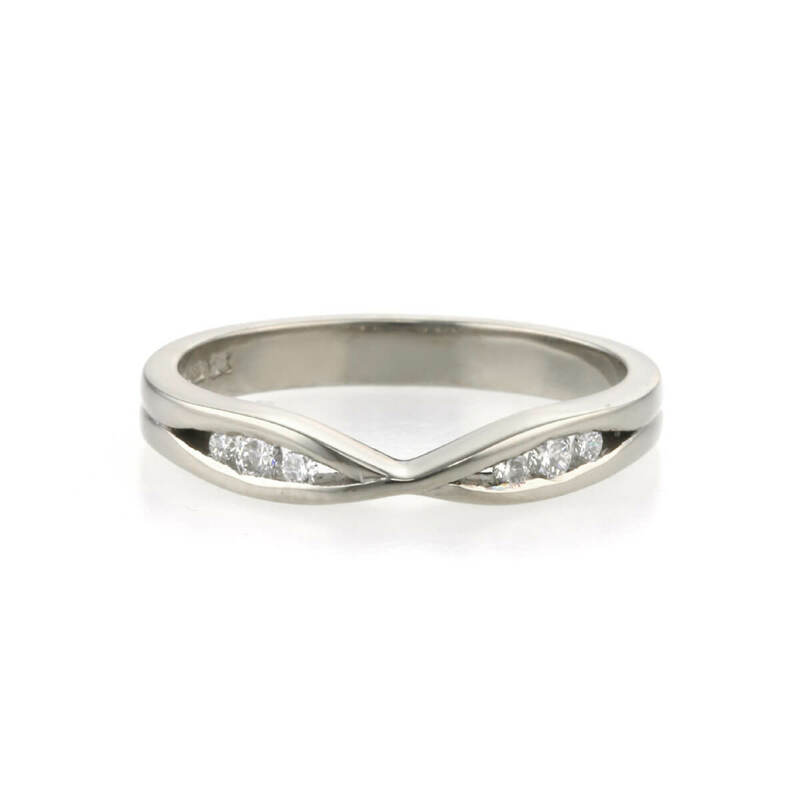 The brief for me was to create complementing wedding rings which suited both the bride and groom based on the infinity symbol. The bride’s wedding ring had to be delicate whilst also fit perfectly around the engagement ring. The groom’s wedding ring had to be much chunkier and more masculine with a simpler style of diamond setting. Although these rings are different and unique they are suitable for each bride and groom whilst making a nice collection of 2 rings. Initially, hand drawn sketches were provided exploring the ideas of incorporating the infinity symbol within the wedding rings. Different versions of diamonds settings were suggested whilst alternative metals finishes also discussed. Each ring was designed using CAD/CAM. The bride to be’s engagement ring was carefully photographed with measurements taken so that a wedding ring that fitted perfectly next to it could be designed. 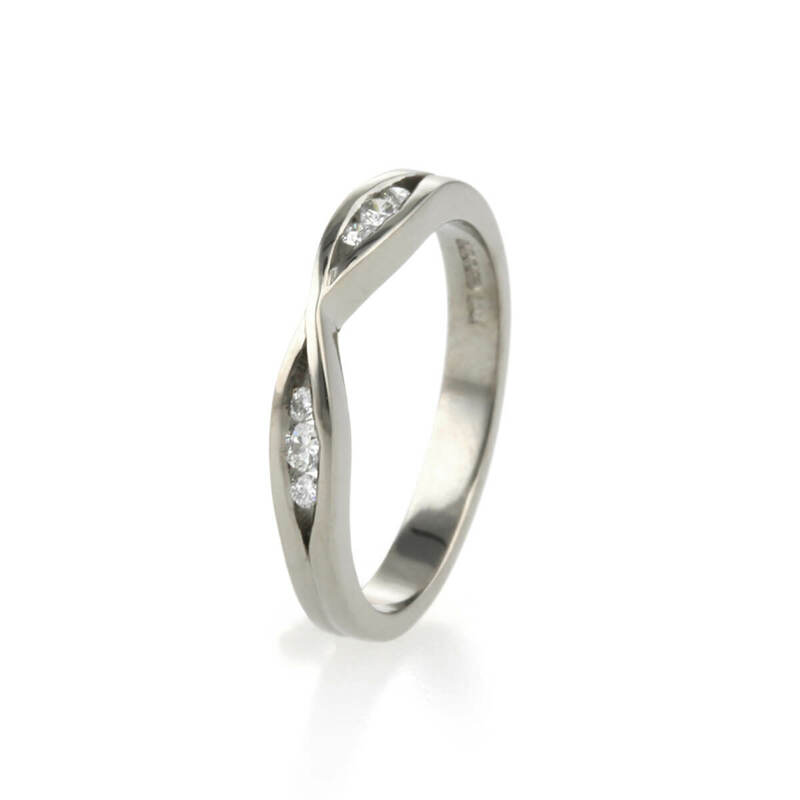 Once the designs were decided on, the rings were cast in 18ct white gold. They were sent to be hallmarked at Sheffield Assay Office. The rings were then be filed, buffed with several grades of emery paper and given a pre-polish before having the diamonds set and a final polish. To discuss a similar piece of jewellery send an email via my contact page. 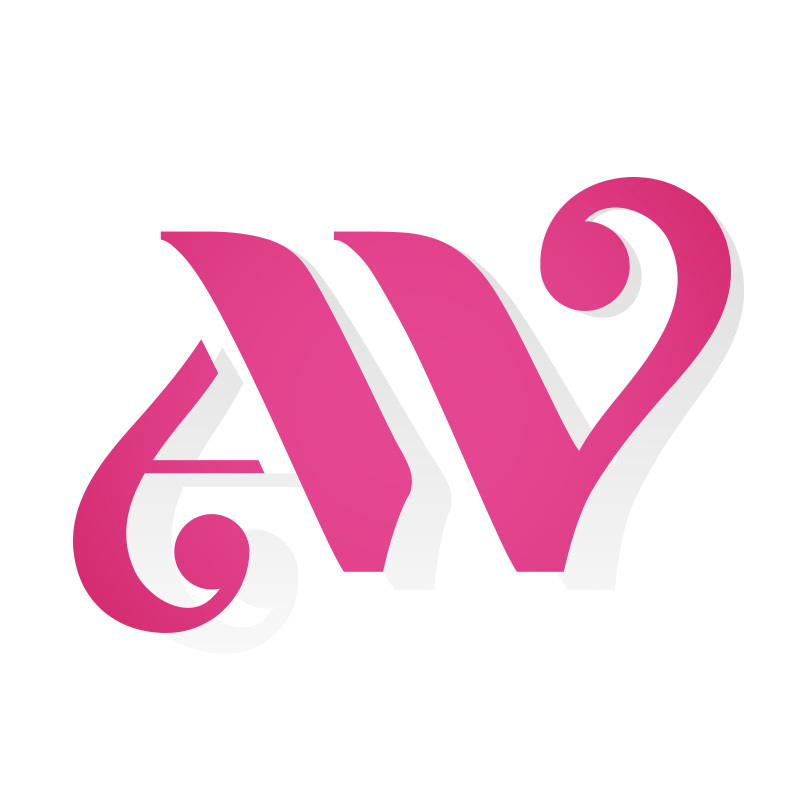 Come and follow one of my social media accounts, leave a comment, like, review and share. I’d love to hear from you.